One Murex ramosus, Chicoreus ramosus, also called Giant Murex shells, hand picked, measuring approximately 9-3/4 inches in size. This giant murex shell is primarily white in color with patches of tan and some have an orange or pink color in the mouth of the shells. 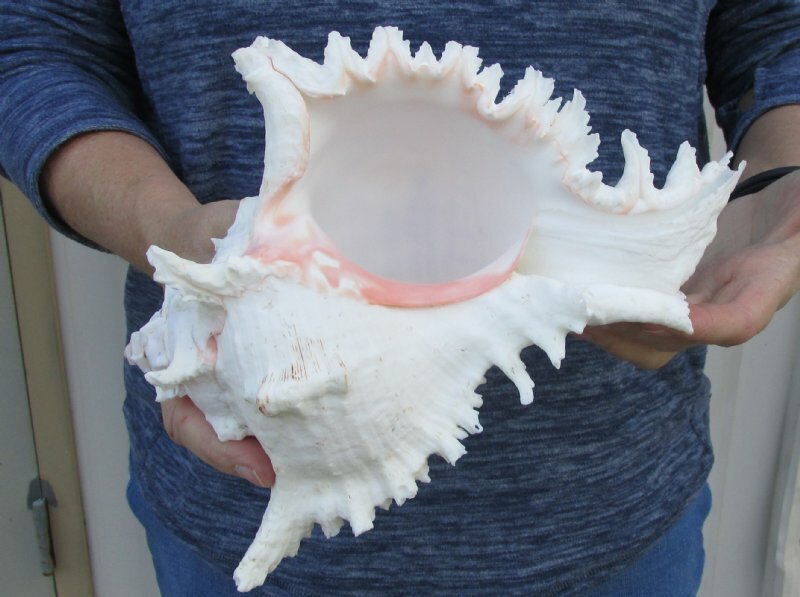 These pretty giant murex shells are used in making seashell centerpieces as these shells have a wide mouth opening to allow for a flower arrangement, and are used in coastal home decorating and seashell decor and in shell crafts. 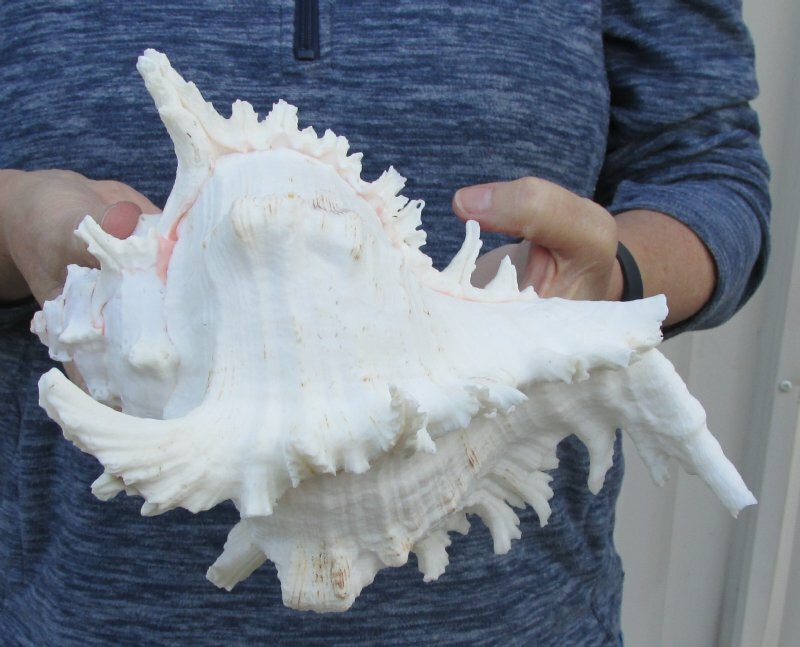 You are buying the one hand picked murex shell pictured. The tag "Made in the Philippines" is a requirement of U.S. Customs. All products imported into the U.S. must have a country of origin tag. 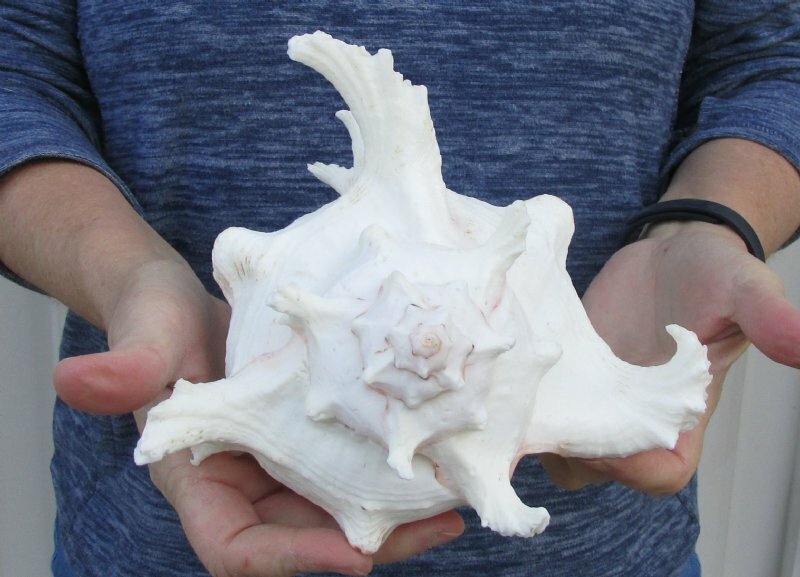 These are real shells. The tag is a "generic" tag used by our supplier.